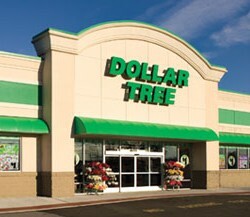 Dollar Tree, Inc. is the world’s leading operator of $1 price-point variety stores. The Company also offers value at the fixed price-point of $1.25 CAD at its 226 stores in Canada. On July 6, 2015, Dollar Tree completed its acquisition of Family Dollar stores. 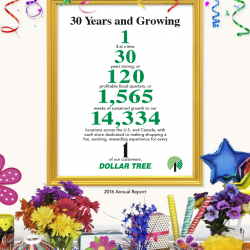 Overall, Dollar Tree operates more than 14,300 stores across the 48 contiguous states and five Canadian provinces, supported by a coast-to-coast logistics network and more than 176,000 associates. A Fortune 500 Company, Dollar Tree has served North America for more than twenty-nine years. The Company operates store support centers in Chesapeake, Virginia and Matthews, North Carolina. 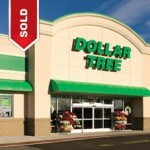 Dollar Tree continues to grow and is reaching new customers via the Internet at www.DollarTree.com.